Content should capture a reader's interest. It's the meat in the pie and the stuffing in the mattress. Without it, it's not going to be that great. The content is for your visitors so it should be relevant and make sense, not obscure, distorted and grammatically incorrect. Content should ultimately be appealing to readers as appose to an advertisement because that's what ads are for. For starters, choose a niche that envelops your passion and turn your passion into a good foundation for your business. 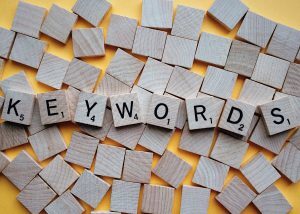 It could generate ideas that would help your business grow with the help of keyword tools like Jaaxy. Digital marketers nail affiliate marketing by creating a marketing plan and provide quality content for their website. Good content attracts the audience and at the same time, builds authority. Let your passion work for you by creating quality content where people connect with your ideas. If that happens, proceed with the marketing efforts. You can offer products or services that could benefit your audience to their interests. Some digital marketers are hands-on entrepreneurs. They write their own content for their website and/or supervise the written content of their workers to make sure that everything is how they like it and on track with how they see it. However, if you don't know how to write content for your website, you can hire a freelance writer by signing up to outsourcing sites such as Elance, online jobs.ph, Odesk, and many others. Share your personal experience – How can you recommend a product or service if you haven't tried it yourself? People love to read stories about your dining experience at the finest restaurants in town, the products that you use, the services that you availed on your trips, the apps that helped you find the best deals and a lot more. The first rule in marketing is, when people don't want the product or the service, they will not buy it. You'll need to find the right product and services for your audience. Offer new products that would help your readers and give them an alternative that would fit their lifestyle and budget. i. Is it a great buy? ii. Is it worth investing in? People don't easily commit to marketing ads these days. Your opinion matters more to your readers. Entertaining content that will wet the appetite of your readers should be included. Also be sure to include promotions in the content so you can generate sales. Repeat the process for each promotion and you'll hit the mark. Readers will expect honesty from your reviews. Too much positive feedback will give an impression that it's fake. Provide honest detail of the product's PROS and CONS. Reserve the highest review scores for products that deserve 5 stars. Exposure from different social networking sites won't hurt either. If you have an established niche on Facebook, you can also try other social media channels like Instagram, Pinterest, Twitter and many others expanding your reach potentially driving new audiences to your website. Digital marketing can involve a lot of promotions and exposure from social networking sites. So you can also search for other platforms that could help spread the word about your online business. Going it alone or not? You could go it alone if you know enough about the detail of starting from scratch. But my advice to you is…if you have enough knowledge, time and resources you could I suppose. But there is no need to do that anymore. Wealthy Affiliate has a platform like no other to launch all of your campaigns from and you can try it for free, and in fact, you should do this first, before deciding on whether it is going to provide you with the right amount of support or not. Read a Wealthy Affiliate review here. If you are needing help to understand more about anything in this article please leave a comment, feedback and\or questions, I am more than happy to help you out. Content is king for sure, and on top of that, producing great content regularly is key to keeping your audience engaged and wanting to return to your website for more stories/experiences/recommendations. I have not outsourced writing for any of my posts (and at the point I am at with my blogs right now, I don’t think I will in the near future, but things change!) but it is definitely a great option for a person if they have trouble coming up with great content, need fresh ideas, or just do not have the time to write content for their blog consistently. Thanks for sharing! Thank you Martina for your comments. I also to prefer to write my own content unless I am stretched for time, so outsourcing is a back-up for me but I will also always add my spin on it. I totally agree on the honesty is the best policy there. 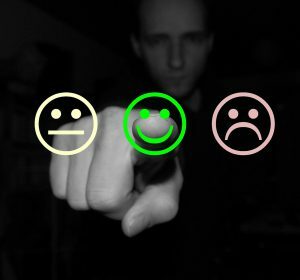 Too many marketers has been biased in one way or the other in their reviews. I think it’s pretty silly, if you’re hoping to land a sale or two but losing trust in the long run. Further more, assuming your readers won’t be doing their own research is the dumbest thing you can do. Thank you Kenny for visiting and for your comments and you have made a great point. Visitors to your website is everything that you work towards when building up your website, so why jeopardise the work you put into it by making things up. Honesty and stating the facts is the best policy. What a great article and it is right – Content is King. I like to write my own posts as well, maybe outsourcing would be a backup option, however I like to share reviews or posts through my own experiences with them which I believe comes with having integrity. But if I was to outsource I definitely would go through it and put my own spin on it. We all have different styles and I think our own personality should shine through your content.